Indian e-commerce company ‘IndiaMart’ has confirmed that it is going to issue an initial public offering (IPO) very soon. The company had filed its draft papers recently to SEBI (Securities and Exchange Board of India). The online company will start the process of IPO in the next financial year. It is a Noida-based company and will offer up to 4.28 million shares through its offer for sale. The promoters and investors will also sell a proportion of their stakes in the venture. “We will go for IPO soon. Basically, we are not in need to raise external money but we want to give an exit route to existing investors. Most of the equity sale will happen in secondary market,” said Dinesh Agarwal, Indiamart founder and CEO. According to the reports, the company’s investors will sell 2.07 Mn shares. Amadeus IV DPF will sell 1,70,502 equity shares and Accion Frontier Inclusion Mauritius will sell 4,75,000 equity shares in the IPO. Along with this, company’s promoters will also sell off their stake where Dinesh Chandra Agarwal will sell 8,52,453 and Brijesh Agarwal will sell off 5,77,656 shares in the IPO. “As a promoter I am looking for dilution of some stake and some investors like Intel Capital may look for partial sale of stake. That is the basic reason (for the IPO),” said Agarwal. IndiaMart had introduced many small and medium enterprises (SMEs) on its platform which will assist them in general sales. The online company stated that it has over 40 lakh SMEs and over 100 big brands on its platform. It does not sell any product directly but provides business leads to companies. 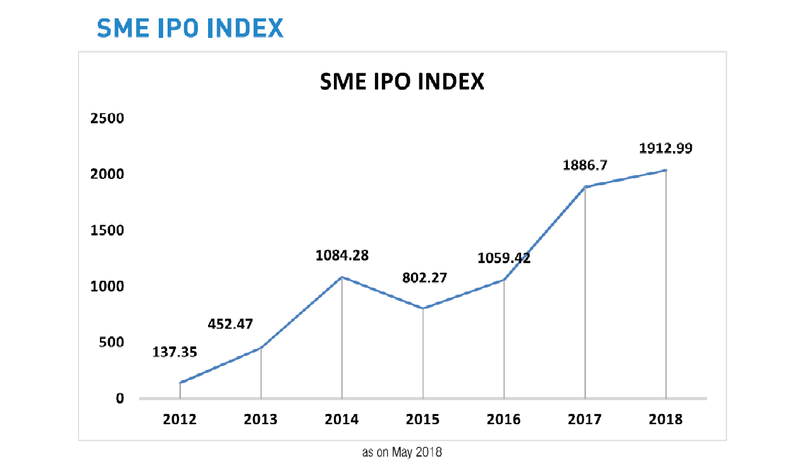 Since the news of BSE SME startup platform has gone viral, many companies are trying to get their hands on the issue of IPO for their platform. IPO seems to have become the trending thing for startups these days. The companies that used to run after VCs for funds can now opt for IPO and generate a considerable amount of funds for growth and expansion. This may also help the companies to improve their visibility and exposure.